Absorbing the international advanced technology, newest designing method and concept, Xi’an Tianrui Solid Control manufactures Tianrui series of shaker screens and replacement screen of internationally renowned brands such as Derrick,Swaco and Brandt that ranges from API20 to API400. The mud shaker screen is one important components of the shale shaker. It acts directly on the drilling fluid and is subjected to solid-liquid separation. Xi’an Tianrui screen has the advantages of long life, good separation effect and meets the US API standard together with API certificate. 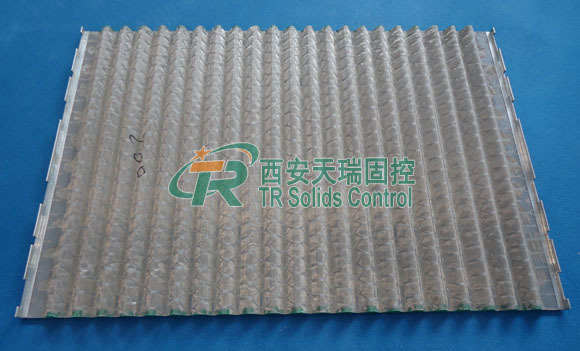 TR Solid Control shale shaker screen is divided into four categories: frame screen(wave and flat screen), hook strip screen(wave and flat screen), hook strip soft screen and slot screen. 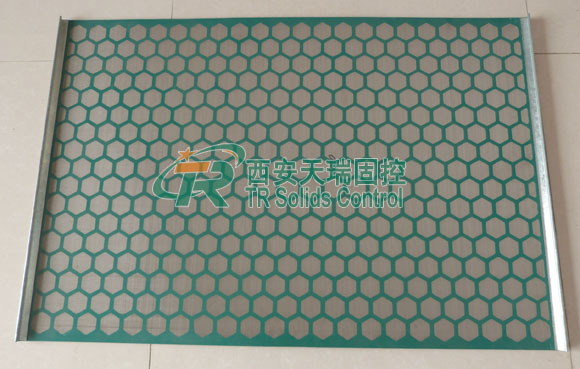 Xi’an Tianrui Solid Control not only make their own brand screen, but also can provide customized screen according to client’s requirements,such as the well-known brands Derrick, Swaco and Brandt. Xi’an TR Solid Control is one professional mud equipment manufacturer.TR Solid Control provides series of mud treatment equipment and mud cleaning solution.Inquiry us about mud treatment at any time. The screen is one of the most important components of the drilling shale shaker. It is also a metal mesh layer that acts directly on the drilling fluid and is subjected to solid-liquid separation.Applying the international advanced technology, mechanized production methods, Xi’an Tianrui solid control manufactures Tianrui brand shaker screens and replacement screen of internationally renowned brands that ranges from API20 to API400. Xi’an Tianrui screen has the advantages of long life, good separation effect and meets the US API standard together with API certificate. 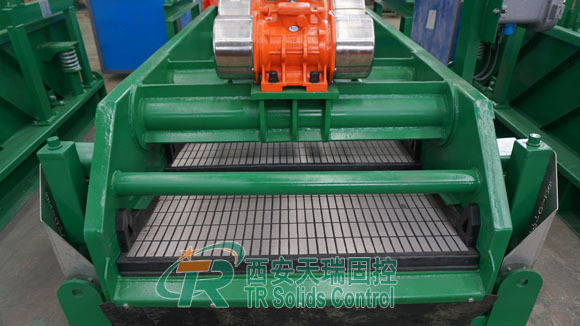 TR solid control oilfield shale shaker is divided into four categories: frame screen(wave and flat screen), hook strip screen(wave and flat screen), hook strip soft screen and slot screen. Xi’an Tianrui not only make their own brand screen, but also can provide customized screen according to client’s requirements.,such as the well-known brands Derrick, Swaco, Brandt. The screen is made of metal wire with excellent wear resistance.Generally speaking, any ductile metal or alloy can be used to weave the screen, but commonly used ones are stainless steel, Monel alloy, Brass, tin bronze, aluminum and other alloys. Threaded braided screen has minimal changes in shrinkage or elongation due to temperature,together with the advantages of high strength, long life. Its resistance to temperature changes and corrosion resistance depends on the composition of the metal properties of the screen. Threads of the same (or different) diameter can be knitted into screens of different models (mesh numbers) in various ways. At present, due to the special physical and chemical properties of the drilling fluid, most of the drilling fluid vibrating shaker screens are made of stainless steel wire with strong corrosion resistance. Xi’an TR Solid Control is one professional mud equipment manufacturer.TR Solid Control provide series of mud treatment equipment such as shale shaker,desander,desilter,jet mud mixer and so on for oilfield,HDD & trenchless system,tunnel boring system,etc. TR is your best choice in drilling mud cleaning.